Who was Dr Robert Keller? Dr Robert Keller was a great man. He was a brilliant doctor and scientist, having numerous patents awarded. He also boasts of an impressive Curriculum Vitae. He was an "unsung" hero to many of his patients, especially those with AIDS that he helped in Tanzania, Africa. He was diligently preparing for a clinical trial for the treatment of AIDS up to his untimely death in June 2009. His colleagues at Phoenix Biosciences are continuing his pioneering work. Dr Keller is the inventor of MaxGXL's patented glutathione accelerator currently available only in the U.S., Canada, Philipines, Australia and New Zealand. You can read more on the composition patent of MaxGXL. And you may buy the exclusive product by becoming a distributor. R.H. Keller, A Paradigm Shift in Treating Neurogenerative Diseases Including Alzheimer’s and Parkinson’s. Dr. Robert Keller was born on October 3, 1942 in Brooklyn New York. He passed away peacefully on June 5, 2009 at the age of 66. Dr. Keller was the Chairman and Chief Scientific officer of Phoenix Biosciences and VitImmune, Inc. He was a Professor of Health Sciences at the University of Wisconsin, Clinical Investigator at the Milwaukee Veteran's Hospital. He was also an Associate Professor of Medicine, Pediatrics, and Biophysics at the Medical College of Wisconsin and an Assistant Professor at the Mayo Clinic and University of Minnesota. 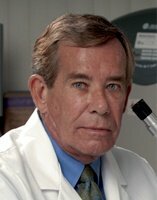 Dr Robert Keller previously served on NIH and VA Scientific Review Boards and as an Immunologic Consultant to NASA. He was elected as a Fellow of the American College of Physicians. He is listed in Who's Who in Science and Technology, and in the World. He was elected as one of the 2,000 most prominent scientist of the 21st century. He was awarded the Unsung Hero Award for Medicine from the People with AIDS Coalition of Broward County, and the Humanitarian of the Year Award from the National Hemophilia Federation. Dr. Keller was elected to the Board of Governors of the Florida Chapter for the American Academy of HIV Medicine, where he served most recently as Chairman, and on the National Board of Governors. Dr. Robert Keller was voted one of "America's Top Physicians" in Internal Medicine, Immunology and Hematology by the Consumer's Research Council of America every year from 2003-2007. Dr. Keller has authored more than 100 peer reviewed research and clinical publications, as well as numerous reviews and text chapters. Dr Robert Keller holds a bachelor’s degree from Fordham University in New York and a medical degree with high honors from Temple University in Philadelphia, Pennsylvania.